Our DryLite™ Towels are exactly what you want in a travel towel: not only soft and thirsty, but compact and quick drying as well. 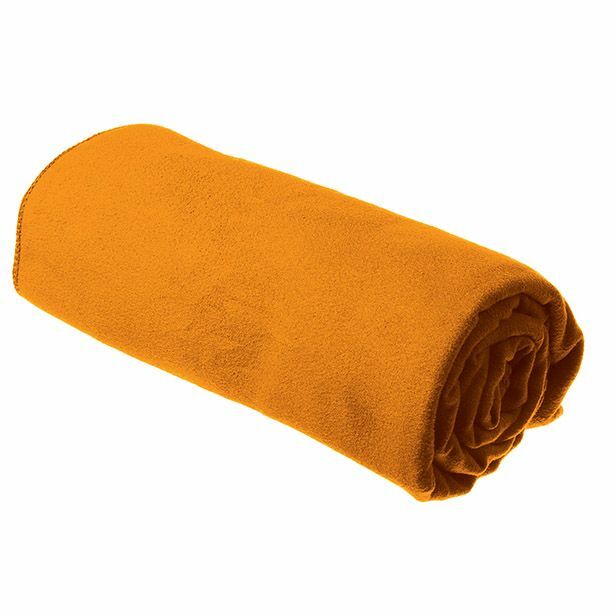 Available five sizes, from immodest to beach towel, DryLite™ Towel is a great choice for backpacking, travel, boating, family camping or caravan use. Microfibre with super soft ultra suede finish New mesh-faced storage pouch Remarkably absorbent and fast drying Lighter and more compact than the Tek Towel™ Press-stud tab for convenient hanging Machine washable By using Microfibre rather than natural fibres like cotton, the Drylite Towel can absorb many times its own weight in water, yet can be wrung out very efficiently and allowed to dry, which means less time waiting for your towel to be ready to pack away.